Belarus President Alexander Lukashenko has sent congratulations to Azerbaijani President Ilham Aliyev as the countries mark the 25th anniversary of diplomatic relations. 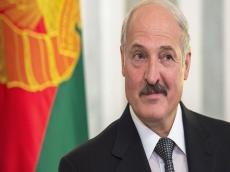 Lukashenko stressed that the Belarus-Azerbaijan relations have reached a very high level of sustainable strategic partnership over the past years. “Both states productively interact at the international level, have similar positions on key international issues. By joint efforts of Belarus and Azerbaijan, a solid economic foundation of cooperation has been built, a number of projects are being implemented in the field of industry," the message reads. Lukashenko said he is sure that the relations between Belarus and Azerbaijan, based on the traditions of trust, will further dynamically develop for the benefit of the peoples of both countries.